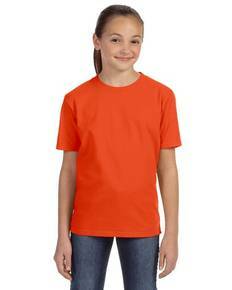 If you are looking for affordable, high-quality blank t-shirts, you have come to the right place! ShirtSpace.com not only has a huge selection of blank t-shirts but also offers them to you at unbeatably low prices. As a wholesale clothing distributor, ShirtSpace.com wants to pass the savings onto you, minus the order minimums! Without order minimums, ShirtSpace.com is able to give customers with the smallest orders the same care and attention as large wholesale clients. Every order is affordably shipped on time and with the same excellent customer service. Our wholesale t-shirts also allow ShirtSpace.com to provide you with a vast collection of name brands, current styles and various colors to entice the most ambitious bargain hunters and most fashionable fashionistas. ShirtSpace.com is dedicated to making sure you are happy with your t-shirt choice no matter your clothing choices. We understand that everyone wants to be comfortable, but that doesn’t mean you have to sacrifice style. ShirtSpace.com offers a huge selection of t-shirts to make sure everyone gets a shirt that fits their personal taste and preference. ShirtSpace has numerous brands to make sure you find the exact material, color and style that fits your mood, including, Dickies, Alo Sport, LAT and many more. Whether you are a winter or a summer, a trendsetter or a trend follower, ShirtSpace.com has a color and cut to match your t-shirt taste. You can find anything you need and more here at ShirtSpace.com!